The Joshua Tree Inn, built in 1949, is a Spanish Colonial style inn conveniently located just 5 miles from the grandeur of Joshua Tree National Park. 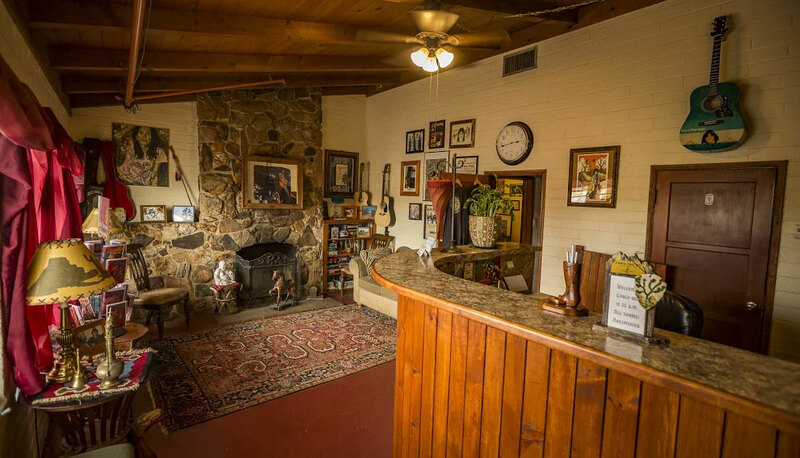 Our historic inn has long been known for the unique, charming and rustic lodging it provides for guests visiting California's extraordinary sites: Joshua Tree National Park, Sheephole Valley Wilderness & Mojave Desert. Welcome, travelers, to our legendary hacienda, rich in folklore and authenticity.